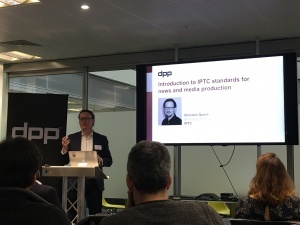 We were proud to be involved at last week’s Metadata Exchange for News interoperability demo organised by DPP (formerly known as the Digital Production Partnership). 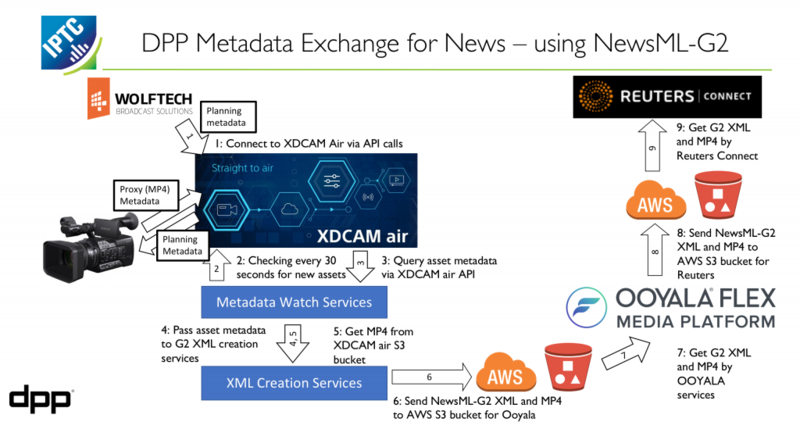 DPP’s “Metadata Exchange for News” is an industry initiative aimed at making the news production process easier. The DPP team looked around for existing standards on which to base their work, and when they found IPTC’s NewsML-G2, they realised that it exactly matched their requirements. NewsML-G2’s generic PlanningItem and NewsItem structure meant that it could easily be used to manage news production workflows with no customisation required. We were treated to a demo of a full news production workflow in the DPP’s offices at ITV in London on February 6th. Ooyala Flex Media Platform sends the media and metadata to the platforms that require it, in this case the Reuters Connect video browsing and distribution platform. The NewsML-G2 integrations were built for the demo but the idea is that they will soon become standard features of the products involved. All parties reported that implementing NewsML-G2 was fast and fairly painless! Thanks to all involved and special thanks to Abdul Hakim of DPP for leading the project and organising the demo day. Look out for an IPTC Webinar on this topic soon! The New York Times has a proud history of metadata. Every article published since The Times’s inception in 1851 contains descriptive metadata. The Times continues this tradition by incorporating metadata assignment into our publishing process today so that we can tag content in real-time and deliver key services to our readers and internal business clients. I shared an overview of The Times’s tagging process at a recent conference held by the International Press Telecommunications Council in Barcelona. One of the purposes of IPTC’s face-to-face meetings is for members and prospective members to gain insight on how other member organizations categorize content, as well as handle new challenges as they relate to metadata in the news industry. Why does The New York Times tag content today? The Times doesn’t just tag content just for tradition’s sake. Tags play an important role in today’s newsroom. Tags are used to create collections of content and send out alerts on specific topics. In addition, tags help boost relevance on our site search and send a signal to external search engines, as well as inform content recommendations for readers. Tags are also used for tracking newsroom coverage, archive discovery, advertising and syndication. How does The New York Times tag content? The Times employs rules-based categorization, rather than purely statistical tagging or hand tagging, to assign metadata to all published content, including articles, videos, slideshows and interactive features. Rules-based classification involves the use of software that parses customized rules that look at text and suggest tags based on how well they match the conditions of those rules. These rules might take into account things like the frequency of words or phrases in an asset, the position of words or phrases, for example whether a phrase appears in the headline or lead paragraph, a combination of words appearing in the same sentence, or a minimum amount of names or phrases associated with a subject appearing in an asset. Unlike many other publications that use rules-based classification, The Times adds a layer of human supervision to tagging. While the software suggests the relevant subject terms and entities, the metadata is not assigned to the article until someone in the newsroom selects and assigns tags from that list of suggestions to an asset. Why does The Times use rules-based and human supervised tagging? This method of tagging allows for more transparency in rule writing to see why a rule has or has not matched. Additionally it gives the ability to customize rules based on patterns specific to our publication. For example, The Times has a specific style for obituaries, whereby the first sentence usually states someone died, followed by a short sentence stating his or her age. This language pattern can be included in the rule to increase the likelihood of obituaries matching with the term “Deaths (Obituaries).” Rules-based classification also allows for the creation of tags without needing to train a system. This option allows taxonomists to create rules for low-frequency topics and breaking news, for which sufficient content to train the system is lacking. These rules can then be updated and modified as a topic or story changes and develops. Additionally, giving the newsroom rule suggestions and a controlled vocabulary to choose from ensures a greater consistency in tagging, while the human supervision of the tagging ensures quality. What does the tagging process at The New York Times look like? Once an asset (an article, slideshow, video or interactive feature) is created in the content management system, the categorization software is called. This software runs the text against the rules for subjects and then through the rules for entities (proper nouns). Once this process is complete, editors are presented with suggestions for each term type within our schema: subjects, organizations, people, locations and titles of creative works. The subject suggestions also contain a relevancy score. The editor can then choose tags from these suggestions to be assigned to an article. If they do not see a tag that they know is in the vocabulary suggested to them, the editors have the option to search for that term within the vocabulary. If there are new entities in the news, the editors can request that they be added as new terms. Once the article is published/republished the tags chosen from the vocabulary are assigned to the article and the requested terms are sent to the Taxonomy Team. The Taxonomy Team receives all of the tag requests from the newsroom in a daily report. 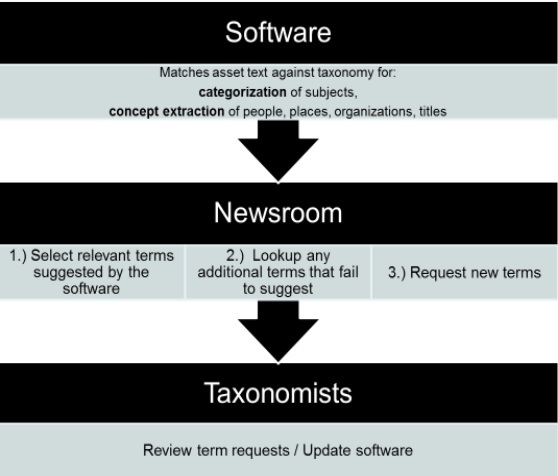 Taxonomists review the suggestions and decide whether they should be added to the vocabulary, taking into account factors such as: news value, frequency of occurrence, and uniqueness of the term. If the verdict is yes, then the taxonomist creates a new entry for the tag in our internal taxonomy management tool and disambiguates the entry using Boolean rules. For example, there cannot be two entries both named “Adams, John” for the composer and the former United States president of the same name. To solve this, disambiguation rules are added so that the software knows which one to suggest based on context. Once all of these new terms are added into the system, the Taxonomy Team retags all assets with the new terms. In addition to these term updates, taxonomists also review a selection of assets from the day for tagging quality. Taxonomists read the articles to identify whether the asset has all the necessary tags or has been over-tagged. The general rule is to tag the focus of the article and not everything mentioned. This method ensures that the tagging really gets to the heart of what the piece is about. When doing this review, taxonomists will notice subject terms that are either not suggesting or suggesting improperly. The taxonomist uses this opportunity to tweak the rules for that subject so that the software suggests the tag properly next time. After this review of the tagging process at the New York Times, the Taxonomy Team compiles a daily report back to the newsroom that includes shoutouts for good tagging examples, tips for future tagging and a list of all the new term updates for that day. This email keeps the newsroom and the Taxonomy Team in contact and acts as a continuous training tool for the newsroom. All of these procedures come together to ensure that The Times has a high quality of metadata upon which to deliver highly relevant, targeted content to readers. Read more about taxomony and IPTC standard Media Topics. 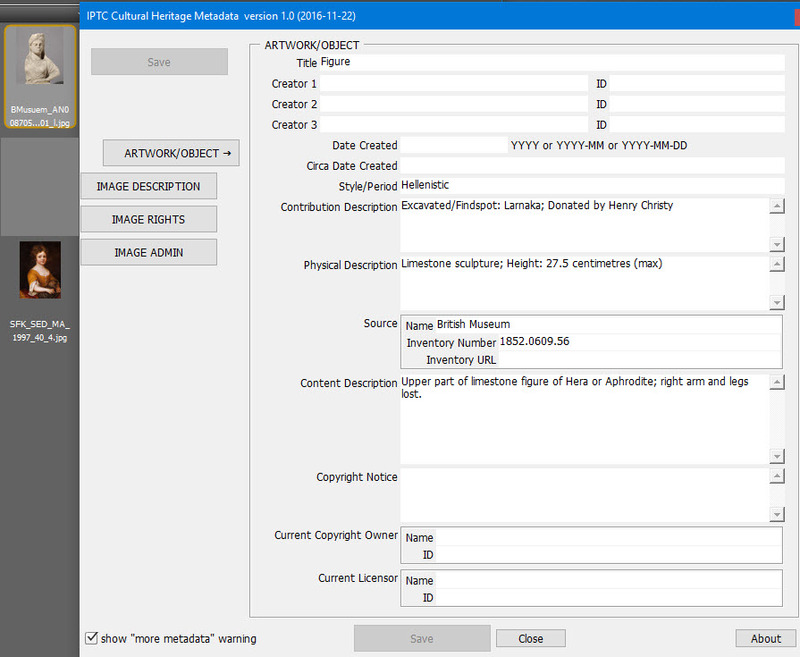 IPTC’s Photo Metadata Working Group has released the Cultural Heritage Panel plugin for Adobe Bridge, which focuses on fields relevant for images of artwork and other physical objects, such as artifacts, historical monuments, and books and manuscripts. Sarah Saunders and Greg Reser, experts from the cultural heritage sector, conceived the IPTC Cultural Heritage Panel to address needs of the photo business and growing community of museums, art foundations, libraries, and archive organisations. Furthermore the panel fills a gap: Many imaging software products, including Bridge, do not support all metadata fields of the IPTC Photo Metadata Standard 2016 for artwork or objects. The artwork or object fields – a special set of metadata fields developed by IPTC a few years ago – describe artworks and objects portrayed in the image (for example, a painting by Leonardo da Vinci). This means that descriptive and rights information about artworks or objects is recorded separately from information about the digital image in which they are shown. Multiple layers of rights and attribution can be expressed – copyright in the photo may be owned by a photographer or museum, while the copyright in the painting is owned by an artist or estate. The new plugin for Bridge (CC versions up to 2016 and CS6 were tested) allows people to view the image data, and write into these fields using a simple panel, which has been tailor-made for use in the heritage sector. The panel includes fields for artwork/object attributes and also relevant digital image rights. “The metadata can then be transferred into an organisation’s digital asset management system; the panel helps ease the ingest process,” Reser said. Reser also noted that the panel helps incorporate more people into workflows, such as freelance photographers, who otherwise may not have access to an organisation’s digital asset management system. The Cultural Heritage Panel allows them to be an efficient part of the process of viewing the metadata included with an image, and adding to it when appropriate. The panel is free, includes an easy-to-use interface, and includes key image administration fields. Image caption and keywords can be automatically generated from existing Artwork or Object data. Download the IPTC Cultural Heritage Panel and User Guide for Adobe Bridge. Maracana Stadium, in Rio de Janeiro. Copyright: Marchello74. It’s an Olympic year for IPTC’s SportsML 3.0 standard, the recently released update to the most comprehensive tech-industry XML format for sports data. Norsk Telegrambyrå (NTB), in Norway, is one of the first news organizations to implement SportsML 3.0, in time for the 2016 Games in Rio. SportsML 3.0 is the ideal structure and back-end solution used by many major news organizations because it is the only open global standard for scores, schedules, standings and statistics. “It saves the time and cost of developing an in-house structure,” said Husø, also a member of IPTC’s Sports Content Working Party. 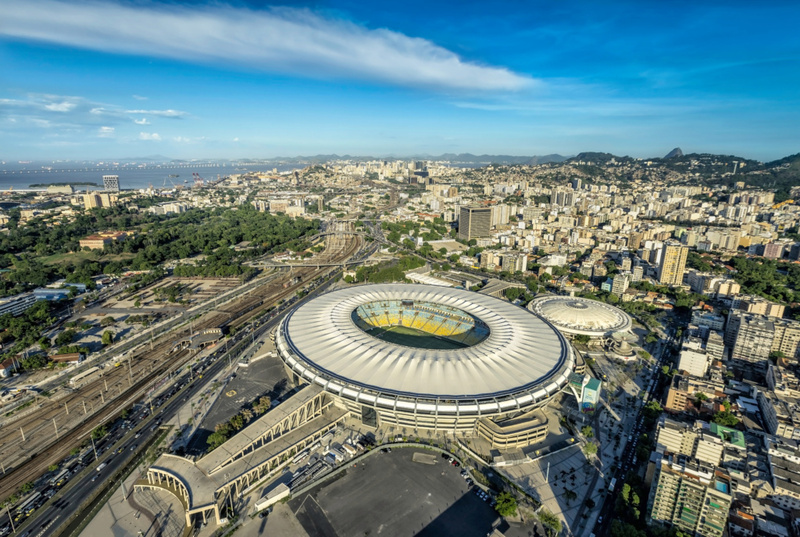 The Rio Games, which will host about 10,500 athletes from 206 countries, for 17 days and 306 events, are revolutionary for big data and new approaches for managing it. For the first time, the International Olympic Committee (IOC) used cloud-based solutions for work processes including volunteer recruitment and accreditation. And consider the experimental technologies and apps launched by key broadcasters and Olympic Broadcasting Services, the Olympic committee responsible for coordinating TV coverage of the Games: virtual reality footage, online streaming, automated reporting, drone cameras, and Super-High Vision, which is supposedly 16 times clearer than HD. Billions of Olympic spectators worldwide have naturally come to expect real-time results and accurate scores to be delivered to them, with a side of historical perspective. All with little thought as to how the information reaches the public, be it via tickers on websites, graphic stats on TV screens, or factoids offered by commentators. Schedules, competitors’ names, bio information, times, rankings, medalists – how does all of this data get served up so quickly and uniformly among networks and news services? And how does it get integrated into existing news systems, namely SportsML 3.0? It starts with the IOC – the non-profit, non-governmental body that organizes the Olympic Games and Youth Olympic Games. They act as a catalyst for collaboration for all parities involved, from athletes, organiser committees, and IT, to broadcast partners and United Nations agencies. The IOC generates revenue for the Olympic Movement through several major marketing efforts, including the sale of broadcast rights. The IOC produces the Olympic Data Feed (ODF), the repository of live data about past and current games. The IOC is responsible for communicating the official results; they use the specific ODF format for their ODF data. Paying media partners sign a licensing agreement to use ODF, to report on results through their own channels, and build new apps, services and analysis tools. The goal of ODF is to define a unified set of messages valid for all sports and several different news systems – so that all partners are receiving the same data, at the same time. It was introduced for the Vancouver Games in 2010 and is an ongoing development effort. According to the IOC’s website, ODF plays the part of messenger. From a technical standpoint, the data is machine-readable. ODF sends sports information from the moment it is generated to its final destination via Extensible Markup Language (XML). XML, a framework for storing metadata about files, is a flexible means to electronically share structured data via the Internet, as well as via corporate networks. IPTC’s SportsML 3.0 easily imports data from ODF. Using SportsML to structure the ODF’s data is a broad and comprehensive solution to approaching all sports and competitions worldwide. ODF has identifiers for sports and awards (gold, silver, and bronze medals) executed at the Olympic Games; sports outside of ODF are identified by vocabulary terms of SportsML. Among content providers that use SportsML (various versions) are NTB, AP mobile (USA), BBC (UK), ESPN (USA), PA – Press Association (UK), Univision (USA, Mexico), Yahoo! Sports (USA), and Austria Presse Agentur (APA) (Austria), and XML Team Solutions (Canada). 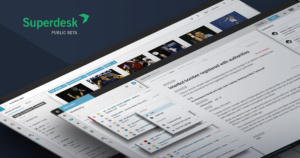 SportsML 3.0 is based on its parent standard, NewsML-G2, the backbone of many news systems, and a single format for exchanging text, images, video, audio news and event or sports data – and packages thereof. SportsML 3.0 is fully compatibility with IPTC G2 structures. Mittmedia and Journalism++ Stockholm, two news organizations in Sweden, are successfully developing and incorporating AIPs, automation tools and robots into workflows to enhance to the capabilities of newsrooms, as reported at the International Press Communications Council’s (IPTC) Spring Meeting 2016. 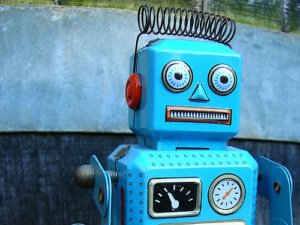 News organizations continue to experiment with bots as part of a frontier in automation journalism, as publishers draw on the benefits of the massive amounts of data available to newsrooms, including information about their own audiences. Despite some apprehension, the benefits of automating parts of the publishing process are many: aiding journalists in storytelling with the ability to sift through big data, refining workflows and reducing workloads, and more precise and faster content delivery to customers. Mittmedia began their automation efforts in 2015 with a weather forecast text bot, which pulls data from the Swedish Meteorological and Hydrological Institute. Set up initially as a testing tool based on a simple minimum viable product (MVP), it now delivers daily forecasts for 42 municipalities, soon to be 63. 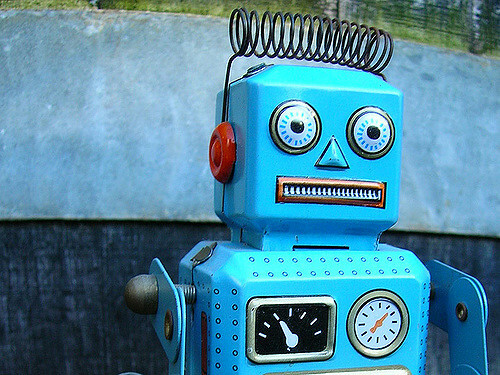 Mittmedia’s next project was Rosalinda, a sports robot that transforms data into text for immediate publishing. Data is pulled from the Swedish website Everysport API, giving developers access to information on 90,000 teams and 1,500,000 matches. Rosalinda now reports all football, ice hockey and floor ball matches played in Sweden, which filled a need in the market. United Media, owned by Mittmedia and two other companies, developed the tool. Mittmedia has adopted a data-driven mindset and work process to gain a competitive edge over other local news sources. “We aim to deliver more content – faster, and provide it to the right person, at the right time and at the right place,” said Mikael Tjernström, Mittmedia API Editor. Faster publication and more personal and relevant content were also among the reason for Journalism++’s development of the automated news service Marple, which focuses on story finding and investigation, rather than text generation. according to Jens Finnäs, the organization’s founder. One of four Swedish projects to receive funding from Google’s Digital News Initiative (DNI) this year, Marple is used for finding targeted local stories in public data. For example, Marple has analyzed monthly crime statistics and found a wave of bike thefts in Gothenburg and a record number of reported narcotics offences in Sollefteå. The grant from Google’s DNI gives Journalism++ a unique opportunity to test Marple and possibly turn it into a commercially viable product, Finnäs said. Photo by Photo by CC/FLICKR/Peyri_Herrera. When IPTC member Sourcefabric presents their flagship product Superdesk – an extensible end-to-end news production, curation and distribution platform – they always recognize the importance of IPTC standard NewsML-G2 as its backbone. As Sourcefabric CTO Holman Romero explained at the IPTC Summer Meeting in Stockholm (13 – 15 June 2016), Superdesk was built on the principles of the News Architecture part of the NewsML-G2 specification by the IPTC. This is because Superdesk is not a traditional Web CMS, but rather a platform developed from the ground up for journalists to manage the numerous processes of a newsroom. NewsML-G2 is a blueprint that provides all the concepts and business logic for a news architecture framework. It also standardises the handling of metadata that ultimately enables all types of content to be linked, searched, and understood by end users. NewsML-G2 metadata properties are designed to comply with RDF, the data model of the Semantic Web, enabling the development of new applications and opportunities for news organisations in evolving digital markets. NewsML-G2 met the requirements of Sourcefabric’s content model: granularity, structured data, flexibility, and reusability. Every piece of content is a News Item. Content types are text, image, video, audio. Content profiles support the creation of story profiles and templates. It can format items for content packages and highlights. Content can be created once and used in many places. Sourcefabric refers to this as the COPE model: Create Once, Publish Everywhere. This structure enables and frees the content to be used seamlessly and automatically across multiple channels and devices, and in a variety of previously impossible contexts. News organizations that use Superdesk include the Australian news agency AAP and Norweigian News Agency NTB. Other IPTC standards supported by the platform are NewsML 1, ninjs, NITF, Subject Codes, IPTC 7901. About Sourcefabric: Sourcefabric’s mission is to make professional-grade technology available to all who believe that quality independent journalism has a fundamental role to play in any healthy society. They generate revenue by IT services – managed hosting, SaaS, custom development, integration into existing workflows – as well as project-by-project funding, grants, donations. TT News Agency, an IPTC-member organization based in Sweden, has launched a new tool that will make it easy for news outlets to publish well-organized digital timelines in a vertical format. TT:s Toolbox Timeline culls news items related to a particular subject or event onto a single Web page in chronological order. Each culled item has a headline, time stamp, photo or video, body text/news summary of the event, embedded content (such as tweets or video) and link to the original news item. The smaller news items compiled in succession tell the bigger-picture story in a logical and easy-to-digest format, while detailing its development. Nicklas Larson, digital business developer for TT, says the advantages of TT:s Toolbox Timeline include its simplicity and vertical scroll, which is more suitable for mobile devices than a traditional horizontal format. The tool is also flexible and can be used for lists – not only time/date stories. TT:s Toolbox Timeline is currently being used by about 25 media clients. The tool is web-based and clients have access via their general log-in to TT’s site. 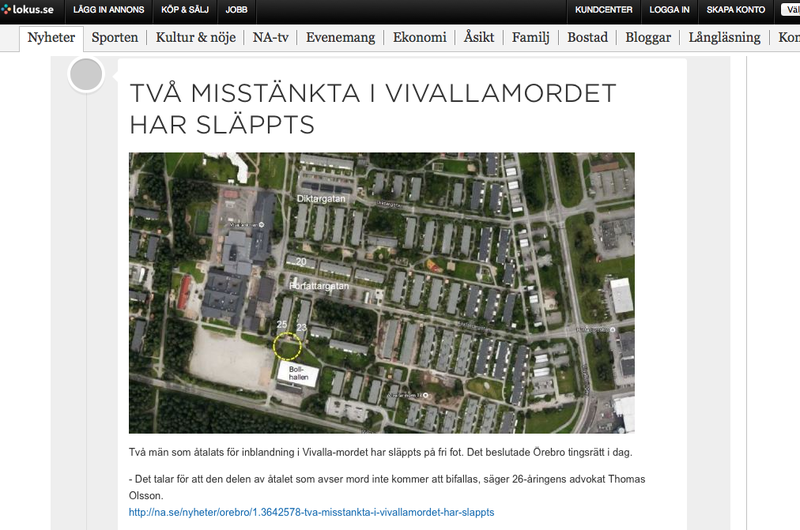 “Timeline of Vivalla Murder: This Has Happened,” produced by local Swedish newspaper Orebro, is one of the first working examples of TT:s Toolbox Timeline. It documented the unfolding story of a violent shooting and murder in Vivalla in July 2015, and its evolution to trial and related attempted murder in Markbacken in January 2016. The timeline outlines the original murder news story, discovery of organized crime connections, police investigation and activity, suspects’ arrests, and video of the highly publicized trial – while providing an overall frame of reference and telling the tragedy in its entirety. TT:s Toolbox Timeline is part of TT:s Toolbox suite, which also contains other programs for creating content, as well as interactive maps, quizzes, CSS, and more. The same infrastructure (such as log-in, hosting) is consistent for all TT:s Toolbox items. This will be the title of IPTC’s presentation at the JPEG Privacy & Security Workshop held in Brussels (Belgium) on Tuesday, 13 October 2015. The major goal for applying metadata to a photo is: associate permanently with it descriptions of its visual content and data for managing it properly. This is done for more than two decades by embedding the metadata into JPEG files. Now in an internet driven business world a JPEG file may take many hops in a supply chain and is exposed to actions by humans and/or software stripping off metadata values. IPTC as the body behind the most widely used business metadata schema for photos is permanently asked by people from the photo business how their metadata could be protected against deletion. This presentation will show the requirements in detail and also considerations about different levels of protection to meet the needs of the originators of photos and the needs of parties downstream. This topic will be presented by Michael Steidl, IPTC’s Managing Director and lead of the Photo Metadata work.